StarWind innovates with StarWind Storage Gateway for Wasabi. What’s this? Let’s have a look. As you might know, Wasabi is a cloud storage company which was founded by the creator of Carbonite, a popular backup solution. We have reported on StarWind VTL for Veeam and AWS a while in the back and it looks that instead of Amazon, Wasabi cloud storage gives better value for your money. Wasabi is a low-cost, fast, and reliable cloud storage. Wasabi is 80% cheaper and 6x faster than Amazon S3, with 100% data immutability protection and no data egress fees. You certainly know by now, that putting data and applications in the cloud (ingress) is usually free. However, when you move anything out of the cloud (egress) or want to leave to another cloud location, you’ll see that the cost to get your data back is way more expensive than you have thought. Egress charges or the costs organizations pay to move data from the cloud to another area, vary by provider and Amazon or Azure aren’t the cheapest. Before we talk about Wasabi and StarWind solution, I’d like to point out that StarWind, at the end of last year, was named a Niche Player by Gartner in its 2018 Magic Quadrant for Hyperconverged Infrastructure for its completeness of vision and ability to execute. 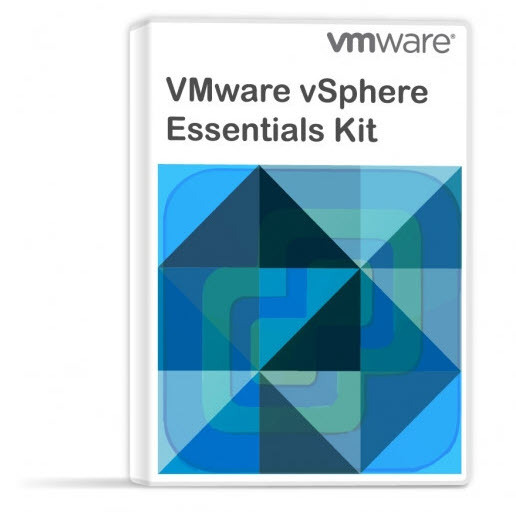 The solution consists of StarWind VTL installed locally, and Wasabi hot cloud storage which receives the replication copy. The solution allows accelerating backup and recovery processes by integrating on-premises backup infrastructure into a cloud object storage. 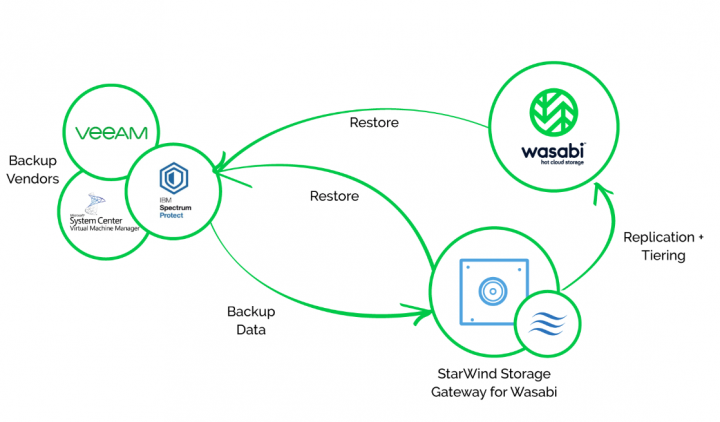 StarWind Storage Gateway for Wasabi combines StarWind Virtual Tape Library (VTL) installed on site and Wasabi hot cloud storage resulting in secure backups transition to the cloud. StarWind VTL is compatible with leading backup vendors including Veeam, IBM, Microsoft System Center, and uses industry-standard storage protocols, like iSCSI, for safe data transfer into Wasabi. Basically, instead of manually handle LTO tapes, this is done automatically. The Gateway enables you to comply with regulatory requirements by automating offsite replication and vaulting. Once data is offloaded to the cloud, it becomes immutable and protected from being accidentally overwritten. StarWind Storage Gateway for Wasabi seems to bring better value for storing backups off-site, in the cloud. If there are no egress charges involved, which means you don’t pay when you pull the data from the cloud, it seems like a really interesting. Wasabi’s Unlimited Egress pricing plan offers the cloud storage industry’s lowest total price of $.0049 per GB/month ($4.99 per TB/month) + unlimited free egress + no charge for API calls so you don’t pay to access your data. Instead of investing in additional physical LTO hardware, why not test StarWind and Wasabi? Have a look at StarWind website for further details about StarWind Storage Gateway for Wasabi.